Are you working on manifesting good fortune into your life? Do you need a better work/life balance? Is it time to adopt a more peaceful path? 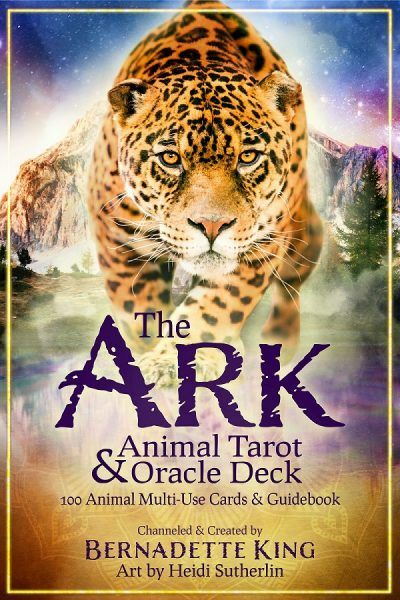 as a Spirit, Totem, and Power Animal can help! Panda Bear teaches you how to see opportunities on the horizon and to find harmony within. 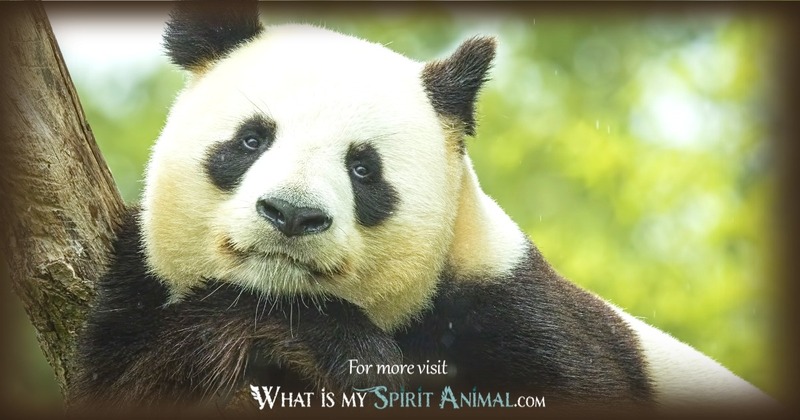 Delve deeply in Panda Bear symbolism and meaning to find out how this animal spirit guide can support, assist, and inspire you. The sweet-spirited Panda looks like a teddy bear, but that doesn’t mean its spiritual aptitudes are all fuzzy and soft. In fact, Panda has a single-minded strength that comes from keeping four paws firmly planted in terra-firma. Panda Bear energy teaches seekers about the importance of personal territory. Everyone needs a safe haven – a place and space that’s wholly safe and comfortable. The key to keeping that haven is maintaining our spiritual, physical and emotional balance holistically. Eastern cultures regard Panda as a symbol of peace and good fortune. When Panda appears, you may find your whole outlook on life becoming brighter. The Panda spirit often works on the heart chakra so that you can love more fully, including yourself. In nature Panda uses its natural awareness to remain tuned into its surrounding. It does not like chaos, so when you work with Panda energy you also have to find that calm center. Being aware of the vibrations around you is different than surrendering to them. When people come into your space and cause disturbance, Panda counsels: clear that garbage and reclaim your sacred terrain. Those guests that overstay their welcome impact your aura and you have the right to stand your ground. Bear in mind that your needs are important. You must continue to nurture your soul with the same gentle love and support you offer to others. Because Panda is a bear, there are some cross-over meanings. You can consider Bear Symbolism & Meaning when working with Panda to see what attributes speak to you most strongly. 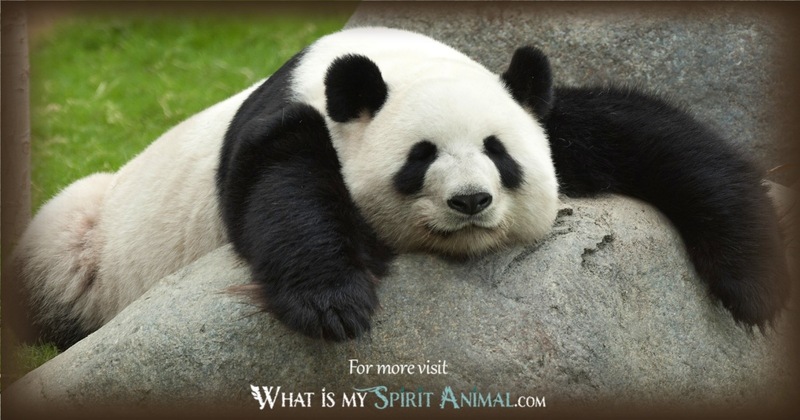 When Panda shows up as a your Spirit Animal, it is time to stop and count your blessings. Look at those things that bless and feed you, particularly emotionally. Live the “attitude of gratitude” daily. Panda also bears a message of equilibrium. Is one part of your life overtaking another? If so, reassess your priorities and get things back into balance. 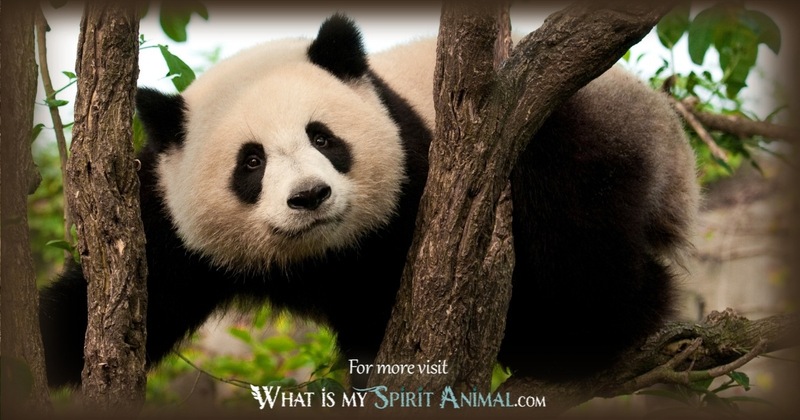 Panda Spirit Animal may be a harbinger of a coming time of liberating abundance. However, remember the importance of pacing. Don’t squander the prosperity all on “wants” – think of needs! Another reason that Panda often appears is because something is stressing your boundaries. You don’t feel safe, and Panda is here to support your return to the protection of sacred space. This may be your home or an actual ritual space. Listen to Panda’s guidance and see where it takes you. As a special note, many friends who have been contemplating joining “peace keeping” or “good will” groups have often reported Pandas popping up in their awareness. If you keep seeing Pandas or are being drawn toward watching videos, looking at pictures, and/or reading about their habits and habitats – you might be receiving a calling to get involved with a charitable organization or start one of your own! People born with Panda as their Totem Animal have a natural affinity with nature. They enjoy having alone time, especially in a personal space like home. That time is necessary for distressing and keeping their life in balance. Panda Bear as a Totem Animal belongs to those who simply do not wish to fight. Panda people would rather rely on wisdom and serious contemplation for problem solving. When all else fails, Panda moves up the trees, hiding and staying put until the issue passes. If Panda is your Totem Animal remember to surround yourself with encouraging, supportive people. This need not be huge numbers – just a few special souls who can see your aptitudes and possibilities. 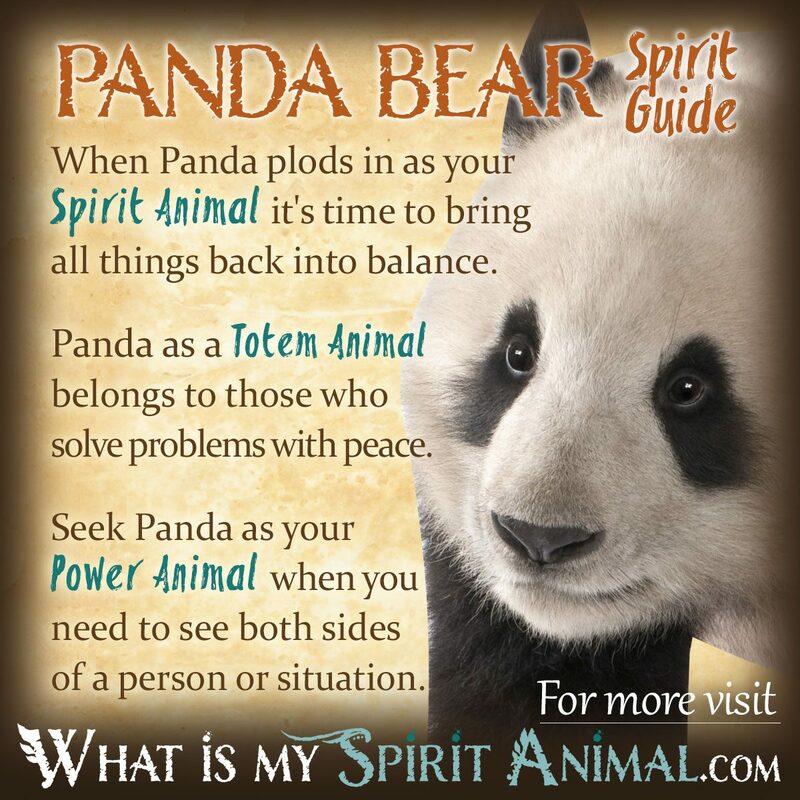 Panda energy can feed and reassure you so that you don’t stagnate. If you truly want to grow and change, then Panda makes a good helpmate. Panda medicine often includes times of solitude. If you’re over-exposed, Panda encourages retreat and meditative thoughtfulness. This can help your spiritual progress too. Some of the best things in life take time. Partnering with Panda keeps you slow and steady. Dreams about Panda Bears implies that you need some type of nourishment. What has your diet been like lately? Are you eating healthy, well-rounded meals. Alternatively, perhaps you are not feeding your mind or spirit adequately. Learn more about Panther Spirit by reading Black Panther Dreams Interpretations on WhatIsMySpiritAnimal.com! China is the home to Panda Bear. This is where much Panda’s symbolism stems from as it is an auspicious symbol of peace, harmony and friendship. Throughout Chinese history Panda plays an integral role. Scribes wrote of this creature as being incredibly strong and as having special medicine. Pandas were often given as gifts to royalty. The black and white markings of the Panda Bear give it an association with a harmony of yin and yang energy. The calm demeanor of this creature strengthened that symbolism along with the meaning of “peace”. Should a fighter raise an image of a Panda, it was a sign of truce, at least temporarily. I’m really confused on how spirit animals work? I’ve done your quiz here and some few more and most of the time came up to be “Your a Panda”? I’ve never encountered a panda in my dream but I do have a fond of them. You could say, I do act like them in a way. Hehe. My most favorite animal is a wolf but I do love pandas too but not as much as wolves. I’m just confused as I said before on how this all works out. I’m a Taurus, 27th of April also. Hi, I have always thought that I would be a Wolf Spirit, since I love them so much and relate to them. I have wolf figurines and photos all over my place. Almost to a fault. My spirit animal came up Panda also. 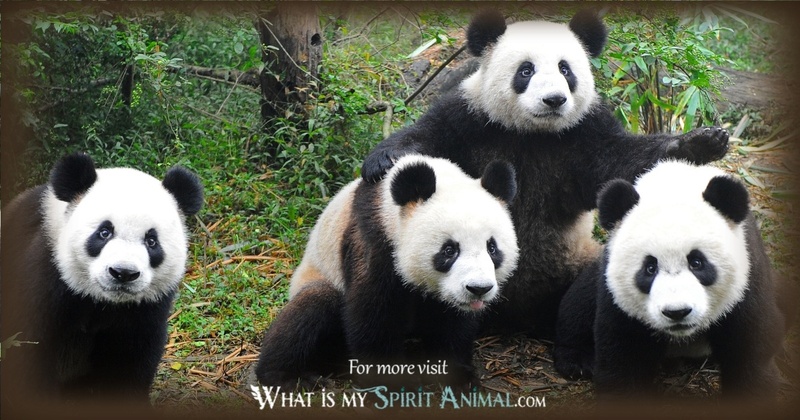 The description of the Panda spirit fit me almost perfectly. I would consider a Panda being a Libra, balancing scales no matter what. I am a Libra. I just wanted to share this with you since we love wolves and are actually Pandas, lol.